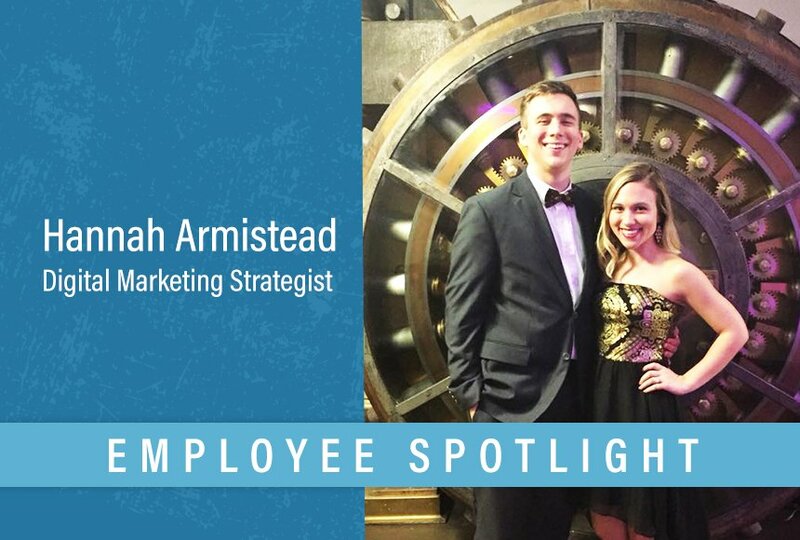 Get to know Hannah in our next employee spotlight! Learn what a day in the life of a digital marketing strategist looks like, what productivity hacks are helping her get the most out of her days, what she loves about working at DuBose Web and more. I’m a digital marketing strategist at DuBose Web. My role consists of creating growth driven design and inbound marketing strategies to help our partners succeed from a digital standpoint. This involves continually digging into website and social media analytics, developing creative strategies based on that data and working with our designers and developers to make those ideas come to life. I started working here in July 2018, although it feels like much longer (in a good way, of course)! This job has felt right from the beginning. I get to work around 8:30 a.m. and know what my day holds since I calendar block my entire week every Friday. Calendar blocking is a magical thing and I recommend it to everyone! I spend the first 30 minutes of my day monitoring my partners’ social media accounts, creating posts and “warming up” for the day ahead. From there, I could be outlining or reviewing blogs, planning content offers, creating social media ads, assembling newsletters, strategizing a partner’s next GDD iteration, putting together analytics reports, interviewing creators for DWGTV or meeting with my team and partners! Phew - that’s a lot and it doesn’t even cover everything! I wear a lot of hats, but wouldn’t have it any other way. You don’t have to talk to me for very long to know that I’m a total nut for productivity and efficiency. I’m always on the hunt for tips and tricks to take full advantage of every 24 hours. Like I said previously, I calendar block my week on Fridays. What that looks like is reviewing my partners’ timelines and seeing what’s on the horizon, prioritizing those tasks and giving those tasks a home on my calendar depending on how long they will take. I stay flexible because things come up, or go over the allotted time, but this strategy has helped me be a lot more realistic with my to do lists. I try to clean up my desk at the end of each day. I’m all about “outer order, inner calm”. It can get a bit crazy when I’m in the zone though! I’ve learned so much - it’s tough to just choose one thing! I would say the biggest thing I’ve learned is to trust myself and not be afraid of failure. Being a perfectionist can be paralyzing at times, but DuBose Web has created a community that gives me the confidence to take risks. To grow, you must fail, and that is SO comforting to me. The coolest thing I’ve worked on lately is the one thing I was the most intimidated to start, imagine that! Every other Tuesday, we go live on Facebook for DWGTV. What these videos consist of is either myself speaking on a hot topic in the digital marketing space, or interviewing creators of all types! I love having the opportunity to ask these professionals all my burning questions, give them a platform to speak on their craft and provide value to our viewers. It is SO much fun. 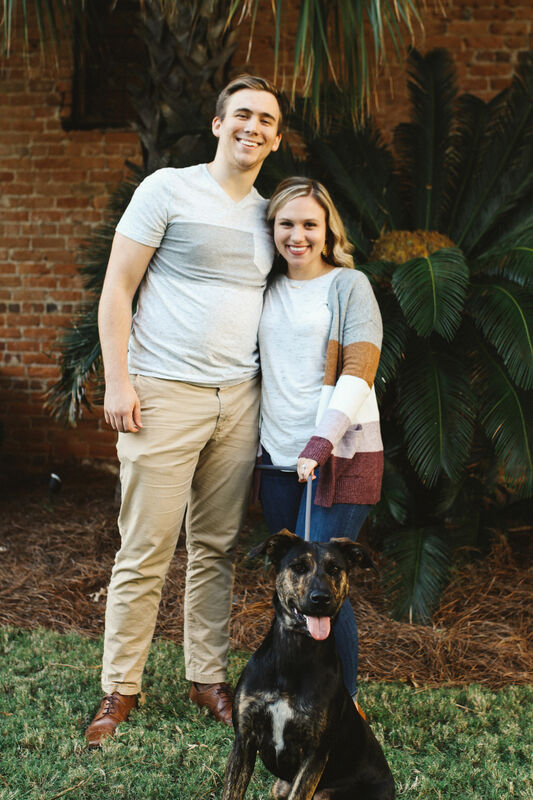 I enjoy spending time with my husband, Cameron, our cat, Leo, and our dog, Bryn. I’m a total homebody at heart and my ideal night is eating dinner in and watching TV, but we make it an effort to go on date night at least once a week! I also enjoy getting a good workout in, doing home improvement projects our little home, connecting with friends and family, listening to podcasts, goal setting and traveling (especially cruises)! I listen to podcasts like it’s my second job. I am currently super inspired by the Marketing School podcast with Neil Patel and Eric Siu. They release daily episodes with straight to the point, actionable insights on how to grow and succeed as a digital marketer. I really appreciate how they don’t add any “fluff” to the episodes and I can learn something every day even before I head into the office. I can be super shy! When you really get to know me, I can be quite talkative and energetic, but if I’m unsure of the people around me, I take on the role of observer. I really only like to contribute to conversations when I have something valuable to say. When I was growing up, and even throughout college, it took a lot for me to open up to people, but I think that’s something I have really improved in the three years I’ve been working full-time! Each of us is so incredibly unique, but we all work together so well. We all balance each other out, both with our personalities and our skill sets. I also love that we can joke around and have fun, but at the end of the day, we are diligent and focused about getting our work done. I am big on surrounding myself with goal-driven people, and there’s no shortage of that trait here at DuBose Web.